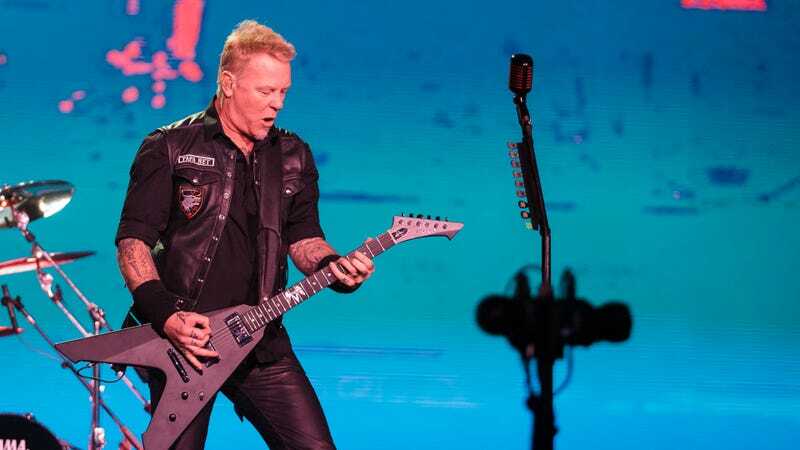 Zac Efron’s Ted Bundy might have to start sleeping with one eye open and gripping the pillow tight because Metallica’s James Hetfield has signed on to play a cop in director Joe Berlinger’s thriller Extremely Wicked, Shockingly Evil, And Vile. Specifically, Deadline says Hetfield will play Officer Bob Hayward, a “no-nonsense Utah highway patrol veteran” who arrested Bundy in 1975 and correctly suspected he was up to something bad when he found burglary equipment in his car. Extremely Wicked, Shockingly Evil, And Vile will also star Lily Collins, Jim Parsons, and John Malkovich. Exit light, enter…new career as a dramatic actor?